The motorised monster machines Zoids. You only have to assemble them to discover a fantastic and surprising world created by Tomy. France. Tomy mini-catalogue. 1983. Presenting another new toy entry at TVTA. 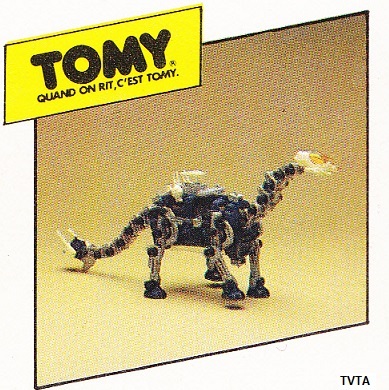 Below are the scans from a tiny French Tomy catalogue I picked up showing the 1983 model range. 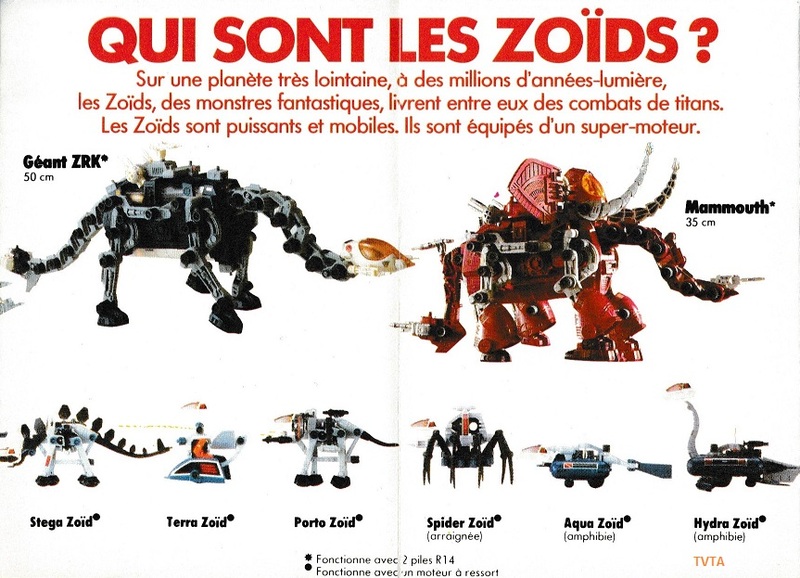 Who are the Zoids? On a planet far away, millions of light years, the fantastic monster Zoids revel in titanic combat. 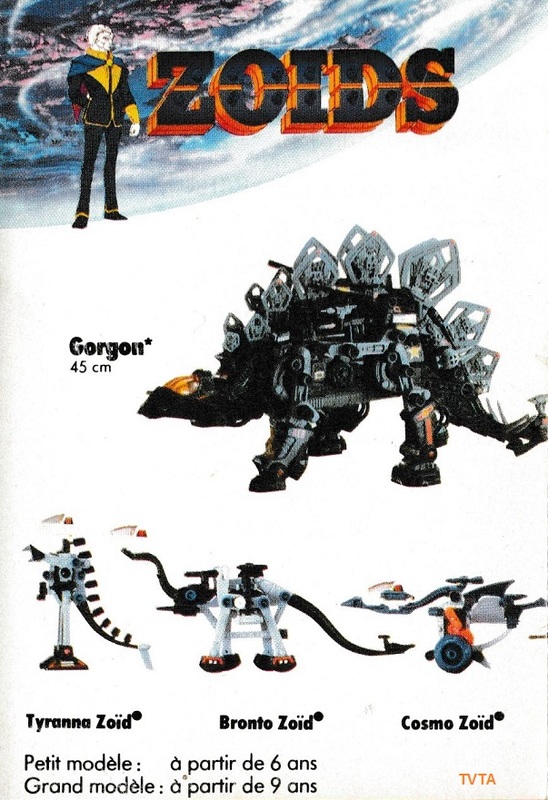 Zoids are powerful and mobile and equipped with a super motor. 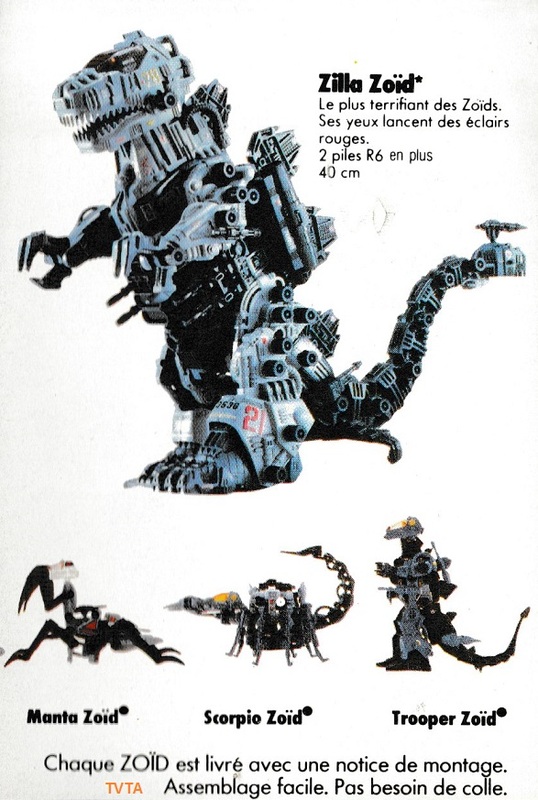 Catalogue image from Super Jouet, France, 1985. 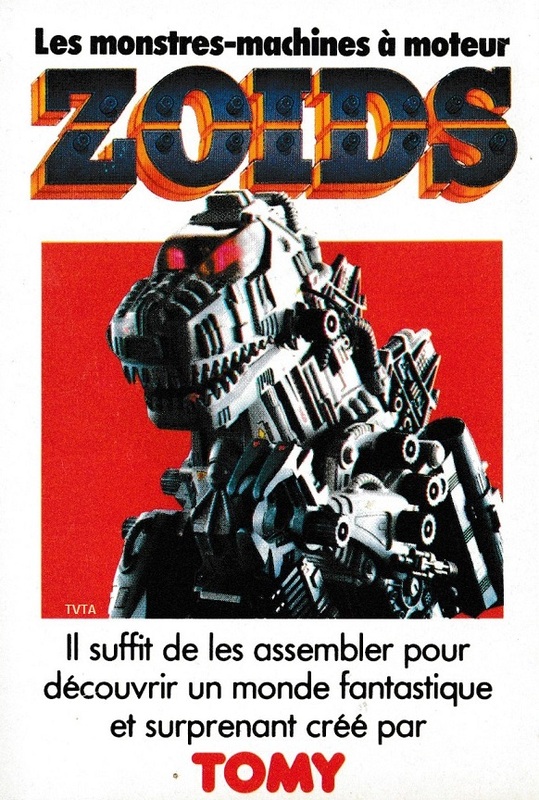 This entry was posted in ZOIDS and tagged 1980s toys, TVTA, vintage toy advertising, vintage toy adverts, vintage toys, ZOIDS, Zoids 1980s toys, Zoids Tomy 1983 on January 30, 2018 by The Vintage Toy Advertiser.